My Apple Chopped Salad with Toasted Pecans and Goat Cheese is a take-off of the Classic Waldorf Salad and a bit lighter. 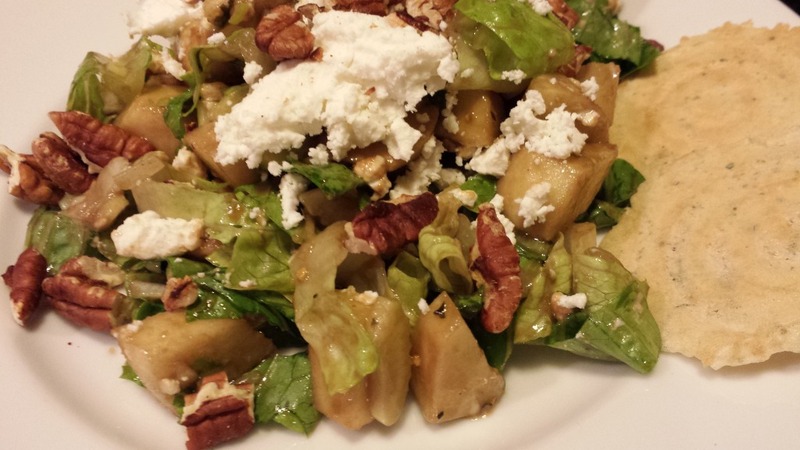 My version uses chopped Romaine lettuce, sliced celery, diced apples, chopped toasted pecans, goat cheese chunks, sliced scallions, homemade croutons and my popular Tarragon Balsamic Dressing. 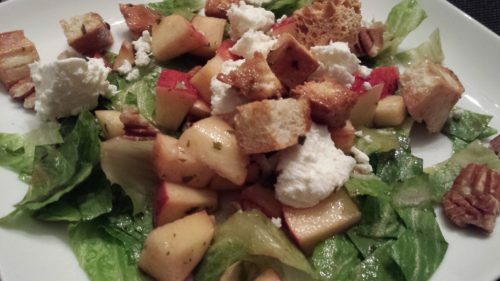 Granny Smith apples are a great choice for this salad. 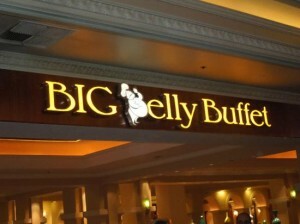 They offer a crispy tartness unlike the sweeter apples. Also, I like to use Gala apples or a combination of both apples. Instead of a mayonnaise-based dressing, I like to use my Tarragon Balsamic Dressing for this salad. It’s also great with my Roasted Walnut Oil Dressing and also works with my Dijon Mustard Dressing. Kids love chopped salads. There’s something about food that’s all the same size, or tiny, that just gets kids’ attention. You can choose to omit ingredients if your kids don’t like them. And your kids can help you chop the ingredients for this salad — if they are old enough that they can safely handle a kitchen knife. Use whatever apples are your favorite. 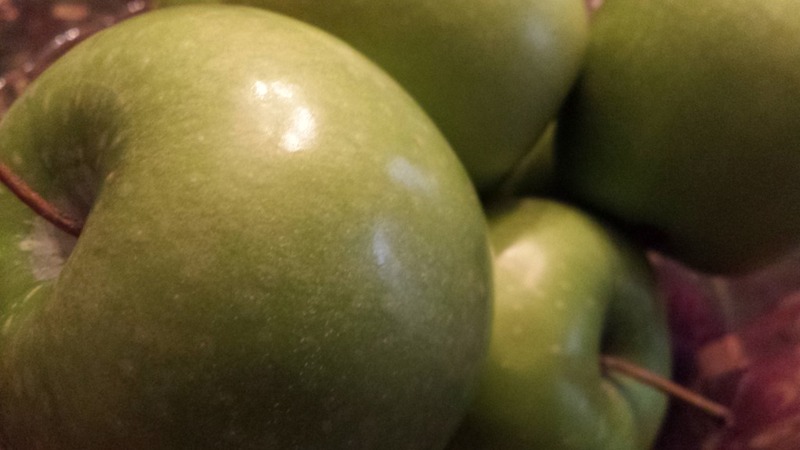 I like Granny Smith apples for their tartness and also Gala apples for their sweetness. Just toss together chopped apples, sliced celery, sliced scallions, and chopped Romaine lettuce with my tarragon balsamic dressing. Divide amongst four salad plates. 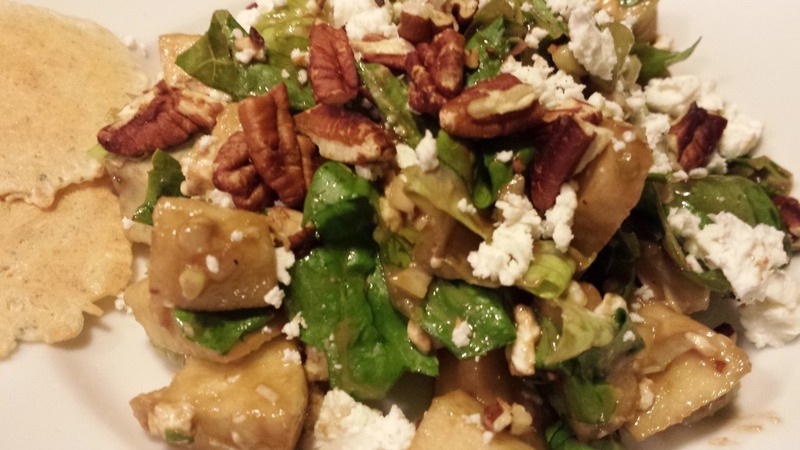 Sprinkle chopped toasted pecans and goat cheese chunks over the chopped apple salads. 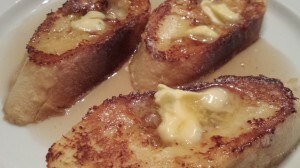 Serve with a cracker or slice of toasted baguette, or make some of my easy croutons for an additional topping, and enjoy! 1. Combine the apples, celery, scallions, and Romaine lettuce in a bowl. 2. Add the tarragon balsamic dressing and toss. 3. Divide the chopped salad amongst 4 plates. 4. 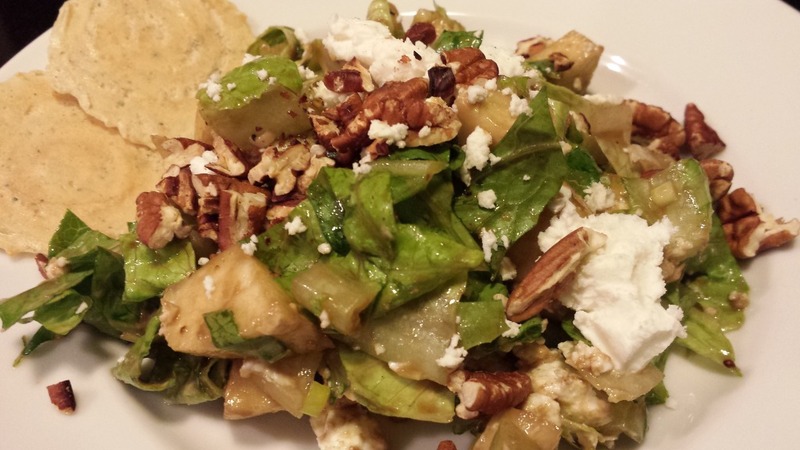 Sprinkle the pecans and goat cheese chunks or crumbles over the salads. Serves 4 as a salad course. 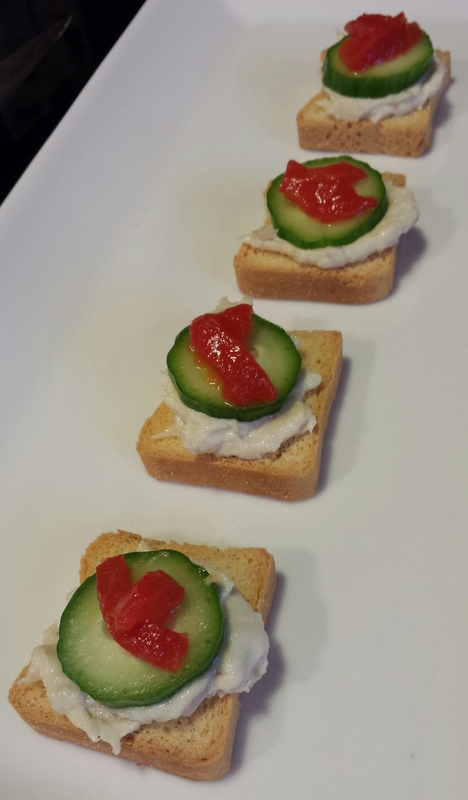 Offer with toasted croutons on top, a few thin crackers, or slices of crusty French bread. Variations: Use different greens such as green leaf lettuce, arugula, mache, or spinach. Use a different apple such as red delicious or golden delicious for a sweeter salad. Try toasted walnuts or toasted pine nuts instead of toasted pecans. Add some chopped dates or raisins. Add some halved green or red seedless grapes. Use cubes of cheddar or Havarti cheese or feta or bleu cheese crumbles instead of goat cheese. 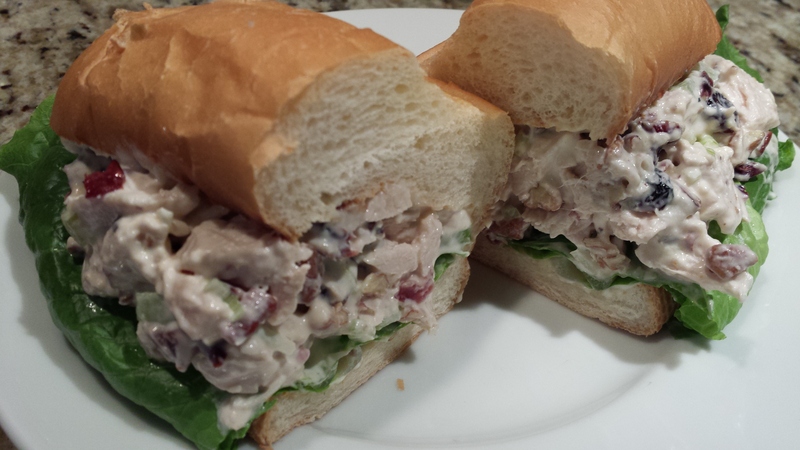 And substitute my Roasted Walnut Oil Dressing or my Dijon Mustard Dressing instead of my Tarragon Balsamic Dressing.